RICHMOND, OH- It came down to the last play, but the South Range Raiders were on the wrong end of a 5-4 defeat to Edison on Saturday. The game was tied at four with Edison batting in the bottom of the seventh when Brennan Scott singled on the first pitch of the at-bat, scoring one run. In the first inning, the Raiders drew first blood and got their offense started when an error scored one run for Raiders. It was in the bottom of the fourth inning, Edison tied things up at four when Ryan Higgs grounded out, driving in one. 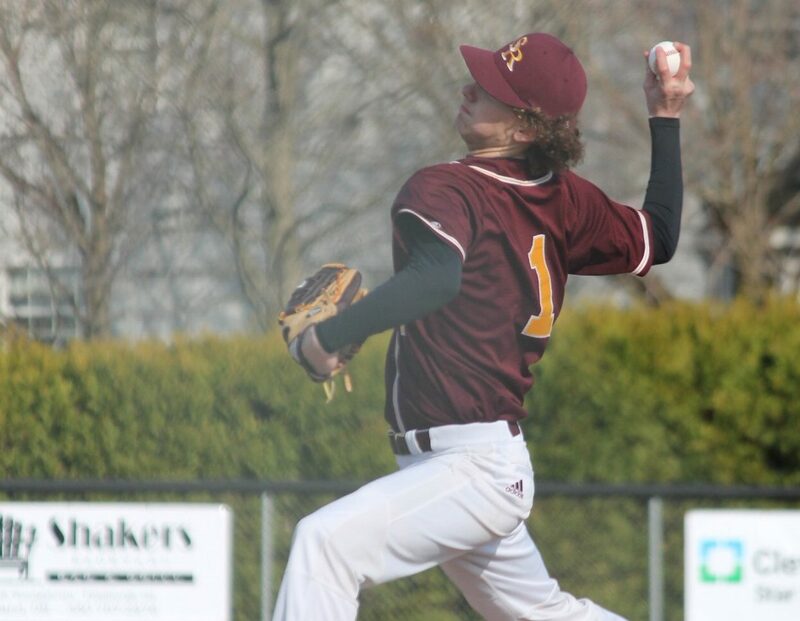 George Ash earned the victory on the hill for Edison. He lasted seven innings, allowing five hits and four runs while striking out three. Nolan Shannon took the loss for South Range. He went one and one-third innings, allowing one run on two hits and striking out one. Sophomore, Brandon Mikos started the game for the Raiders. He lasted five innings, allowing seven hits and four runs while striking out four. Offensively, the Raiders tallied five hits on the day. Trey Pancake and Jake Gehring each collected multiple hits for the Raiders. Jake Gehring and Trey Pancake all had two hits to lead Raiders. Ben Rivera and Jaxon Anderson had an RBI each for the burgundy and gold. Edison collected nine hits. Scott and Ash all managed multiple hits for Edison.